"For 10 years I've been using Jeff Chamberlin & SLC for leasing our warehouse properties in St. Lucie West. Always helpful and always available. Thanks to SLC we've gone from empty buildings to fully leased. "Jeff is on top of his game." Jeff and his team at SLC Commercial have provided expert advice to our company on a wide variety of real estate projects, including dispositions, sale/leaseback, and site selection and lease negotiation assignments. The relationship between our companies continues because we value his expertise and have come to rely upon his professional approach, insight into the commercial real estate market, and his impartial advice. I have been particularly impressed by his dedication and attention to detail. Jeff and his team at SLC Commercial have provided expert advice to our company on a wide variety of real estate projects, including dispositions, sale/leaseback, and site selection and lease negotiation assignments. The relationship between our companies continues because we value his expertise and have come to rely upon his professional approach, insight into the commercial real estate market, and his impartial advice. I have been particularly impressed by his dedication and attention to detail. The purpose of this letter is to provide my unqualified recommendation of SLC Commercial, and in particular Ken and Patty Novak, for Commercial building management and leasing services. A little background on my experience with them. For the last 20 years I have been the attorney for Fairview South, Inc., the owner of the SunTrust Building located at 2400 SE Federal Highway in Stuart. This is the Martin County headquarters for SunTrust, and is a class A office building with a full covered parking garage. For the first 15 years I was Vice President and in house counsel, and we managed the building ourselves. In 2009 we turned over management and leasing to SLC Commercial, one of the most reputable and successful brokerage and management companies in the area. To what you need to hear. The company, and Ken and Patty in particular, are excellent in all respects. What you would expect is of course present; excellent tenant relations, timely response to any issues, aggressive marketing. However, since I maintain an office in the building as the owners representative and would have to be handling many other things on my own it is the extra things they provide that distinguish them. They are constantly looking for ways and making excellent suggestions to improve the building and help its marketing in these difficult times. They also handle the accounting for the building and have come up with numerous ways to save costs, while improving the buildings appearance at the same time. It is a rare occasion that I have to call them about a problem or issue. Usually they're bringing it to me, with a proposed solution and quotes. In essence, I am more than satisfied with every aspect of their work. Konover South has completed several transactions with Al Cicchese at SLC Commercial and have had him chase a few sites as well. He has done an excellent job for us and we will use him again when the need arises. "He certainly knows his market and his experience is very helpful." “It's such a pleasure to have a true professional as yourself taking care of everything here. "I have to agree with the tenant. Ken you are a tremendous real estate professional, and I have dealt with many over the years. You are thorough, professional and a good communicator. I look forward to working with you and Jeff for many years to come." I would like to say "Thank you very much for everything!" This Thank You note is long over due especially since the City closed on its purchase of the Liberty Medical Property over a month ago on August 7, 2015. From having the foresight to initially inform me of the listing so that I could pass along the information, to your diligent, dedicated and tireless efforts at brokering a great deal for both the Seller and the City, it is inspiring to meet and work with someone who is as devoted as you are to providing such quality and excellent service for all parties involved in our real estate transaction. Your unparalleled efforts from making yourself readily available to show us the property multiple times (even multiple times in one day or week) to facilitating attempts to resolve title issues to then a successful closing and handing over of the keys - are sincerely appreciated. I can only hope that in any future real estate transactions that involve my working with a broker would involve working with you. I am pleased to write this letter of recommendation for Kenneth Novak of SLC Commercial for the position of Property Manager. Ken has been employed through SLC Commercial as my Property Manager since October 2014, to manage a 30,000 sf, two story office building located on a large 4 acre parcel in Palm City, Florida. I can honestly say, I have been very impressed with Ken's knowledge of property management and his professionalism in all areas. I have owned multiple properties throughout the years and I have never had such a dependable, honest employee and, added to this, Ken is a very pleasant person! I would highly recommend Kenneth Novak and SLC Commercial for the position of Property Manager. 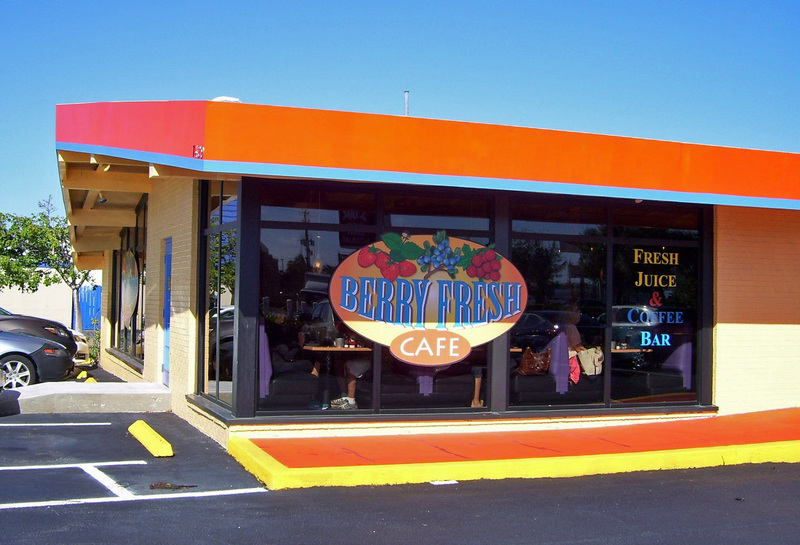 Al Cicchese has been an important player in helping Berry Fresh Cafe grow into a str ong local chain. In year 2008 Al helped me find our first BFCafe site in Port St. Lucie. Year 2012 he helped me find our 2nd BFCafe and in year 2015 he helped me find our 3rd site, Stuart BFCafe. Not only did he locate these A sites for us, but these sites have generated amazing sales results for us. Al definitely understands the Restaurant Real Estate site selection business and I strongly recommend him. I was very pleased working with Carol Bush. When we went to sell our building the real estate market was extremely depressed. Carol worked with us very patiently as we worked through a number of offers and we finally found the right buyer at the right price. I highly recommend her.